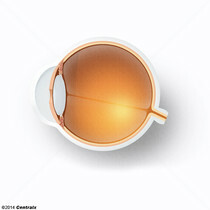 The most anterior portion of the uveal layer, separating the anterior chamber from the posterior. 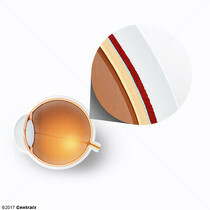 It consists of two layers - the stroma and the pigmented epithelium. Color of the iris depends on the amount of melanin in the stroma on reflection from the pigmented epithelium. A ring of tissue extending from the scleral spur to the ora serrata of the retina. 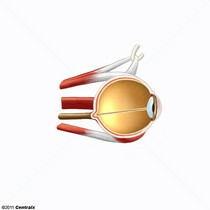 It consists of the uveal portion and the epithelial portion. The ciliary muscle is in the uveal portion and the ciliary processes are in the epithelial portion. 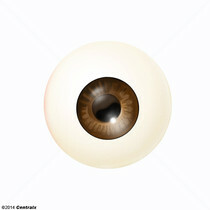 The thin, highly vascular membrane covering most of the posterior of the eye between the RETINA and SCLERA.